My sincerest condolences on your loss. Keep your loved one close to your heart with this beautiful pendant. Cremation pendants have a small cavity which can be filled with a tiny bit of pet or human ashes, as well as soil, sand, liquid, tiny cuts of fur or hair, etc. 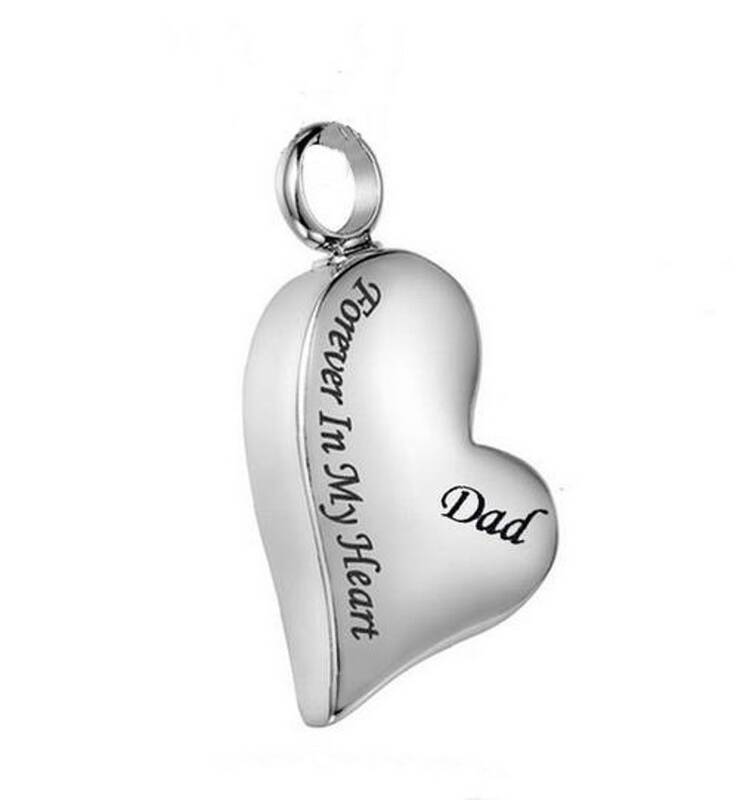 Highly polished 316L Stainless Steel Heart Cremation Urn Pendant Charm with "Dad" and "Forever in my Heart" in black/dark gray on the front with plain back. Loop unscrews to add ashes. Hypoallergenic and waterproof with a high resistance to rust, corrosion and tarnish. Unfortunately I don't do the engraving myself so I am not able to do custom work. Filling instructions in the photos above.